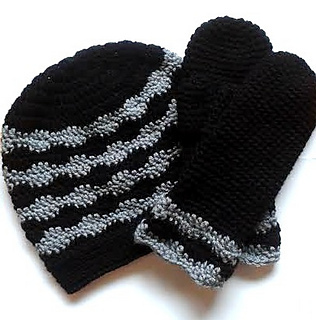 Trendy slouch hat and matching mittens. 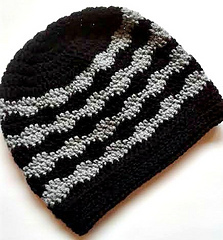 The pattern is written with stitch counts at the end of each rnd. 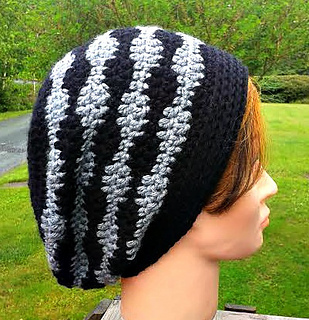 The slouch hat has a medium amount of slouch. 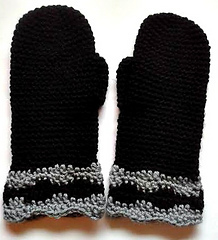 The mittens nicely fit on the hands, taper in to fit nicely at the wrist then gradually flare to form the wavy pattern. The pattern is easy and works up fast.